With moveable joints and a realistic look, this hand was nothing like my original, this was the hand of my dreams. On Friday 22nd May 2015, Tom Parker and Neil Mackay helped to fit my new hand. During the day Tom and Neil were interviewed by BBC Radio Cambridgeshire , Star Radio and the Cambridge News. 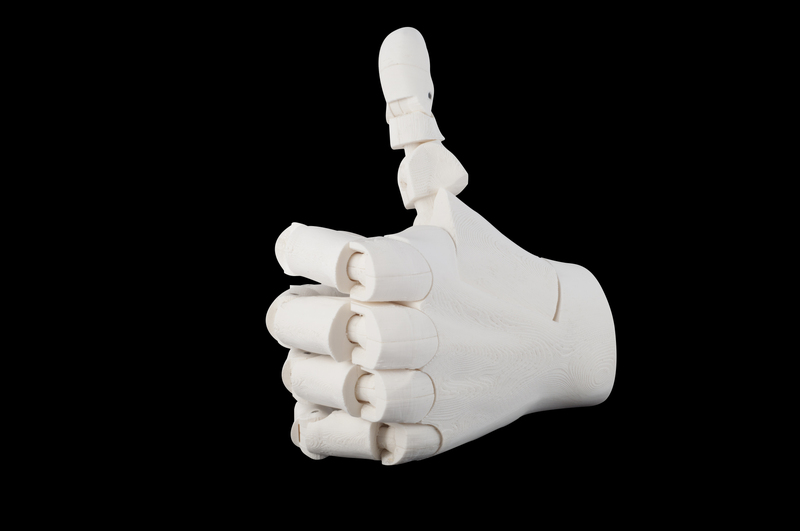 I would like to thank Tom for making me a fantastic replacement hand with his brilliant 3D Printer . For more information on 3D Printing for your project or prototype please contact Cambridge 3D Printing .